Annie is presented through special arrangement with Music Theatre International (MTI). 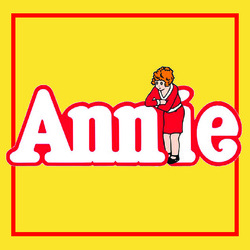 Annie is a spunky Depression-era orphan determined to find her parents, who abandoned her years ago on the doorstep of a New York City orphanage. With its upbeat ending, bright tuneful score, many scene-stealing roles for children, and a classic villainess audiences love to hate, it's no wonder this heart-warming show has become an international sensation.